The summer, with its lack of major releases, is a good time to play fun, experimental games that require a lot of skill, but not a lot of time. Spelunky, originally released on the PC in 2008, just came out on XBLA, and it’s a blast. 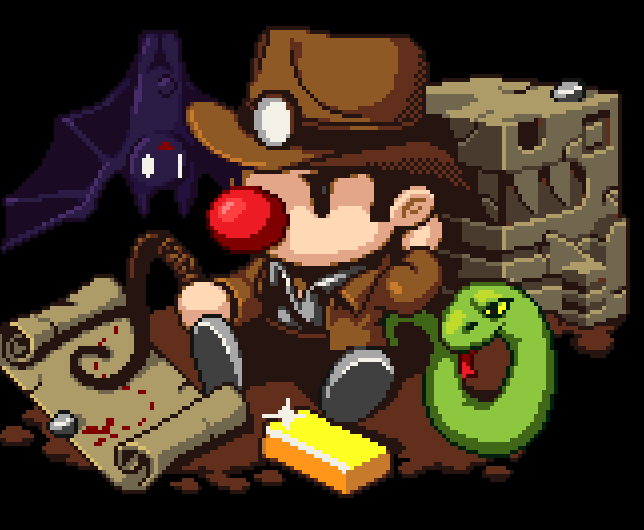 Spelunky is an adventure platformer that requires you to grab treasure, fight enemies, and dig through a labyrinth of randomized levels. It’s a tough game that kicks you back to the very start with each death, but with very little of your success relying on luck, it’s a challenge that’s fun to face time and time again with each playthrough. Although in practice the game is short and can probably be beaten in an hour once you’ve mastered the levels, it will take hours and hours to do it. The new version is currently only available on XBox Live Arcade, but you can download the original PC version (which may or may not be better than the XBLA release) for free from the game’s website here.